AppleScript to empty trash automatically. Is there a better alternative to RecoverTrasher? Is RecoverTrasher really the best app in AppleScript category? Will RecoverTrasher work good on macOS 10.13.4? 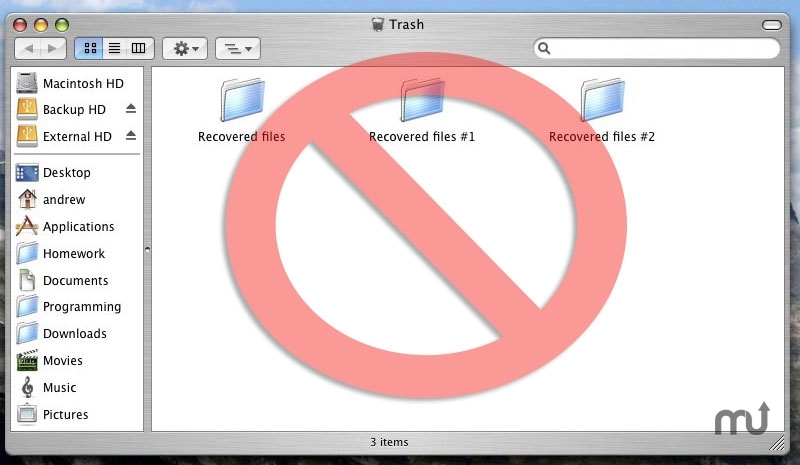 RecoverTrasher is a small AppleScript application that automatically removes the Recovered files folder that Tiger dumps into the trash can. It can be set to run at startup saving you from having to constantly empty the trash. Usage : Follow the prompts in the installer that will automatically open when downloaded. The installer will automatically add RecoverTrasher to your login items if it is not already there. RecoverTrasher needs a rating. Be the first to rate this app and get the discussion started! Now when you login to your account, this script will automatically remove the Recovered files folder in the Trash can. It will not remove any other data. Please note that there will be no visual cue that this is taking place.